3D printers are far more common today than a few years ago, but chances are you still don’t have one in your house. OLO is on a mission to change that. Founders Filippo Moroni and Pietro Gabriele believe 3D printers should be available for everyone, so they designed one that’s powered by your smartphone. Simplicity is the guiding principle behind OLO – the founders wanted to ensure even those who’ve never used a 3D printer can operate it. The process starts with an app. Users select what they’d like to print, switch the phone into airplane mode, and set the bottom half of the printer over the phone screen. Next they squeeze resin inside, place the other half on top, and the printing begins. 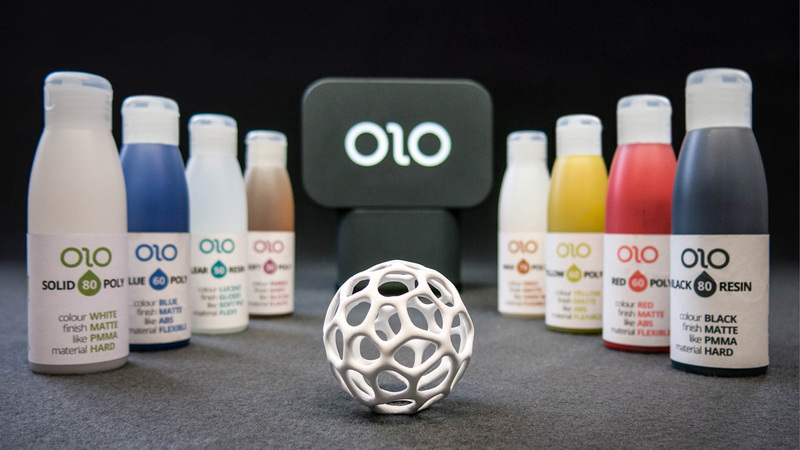 At 1.7 pounds, and 6.8 by 4.5 by 5.8 inches, OLO won’t be able to 3D print a new car, but you can carry it around with you, even on an airplane, according to the founders. Printing isn’t instantaneous – length of time depends on the smartphone’s brightness. For example, the founders say that an object one inch tall can be printed in about one hour and 55 minutes using an iPhone 6. The device also requires four AA batteries. It does come with a range of options. Available resins come in textures from flexible to hard, and come in different colors. 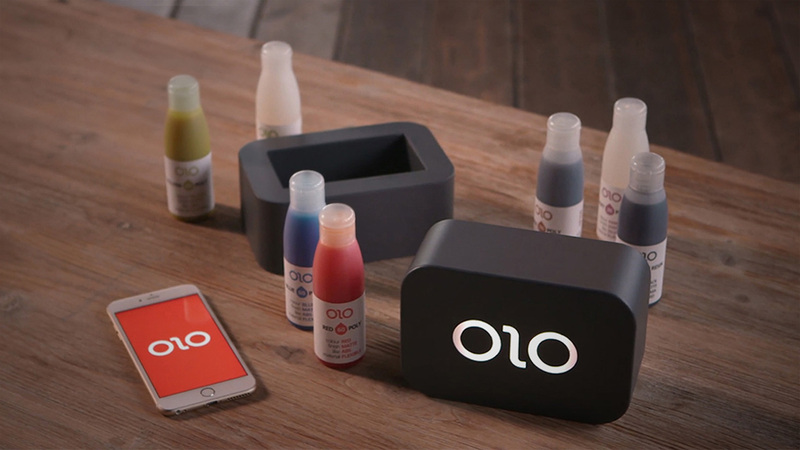 OLO works with iOS, Android, or Windows. Users can select a design from the device’s app, or use 3D software to design or scan an object. It’s also social: users can text 3D objects as they would text a picture or video, and the recipient can print them. They even have the option to text a surprise that the other discovers only once it prints. The founders predict a wide variety of applications, from dental molds to rubber stamps to classroom aids. OLO costs $99. The team is currently crowdfunding on Kickstarter, asking for $80,000, and they’ve already raised nearly $2 million dollars. 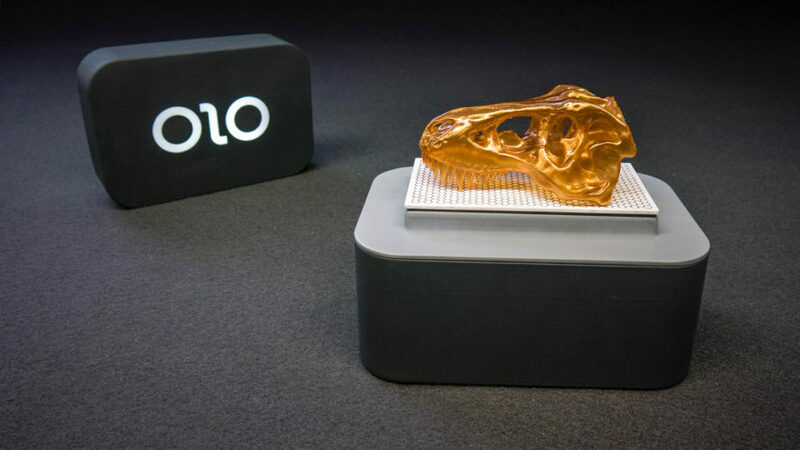 OLO founders Filippo Moroni and Pietro Gabriele wanted 3D printing to be available to all. So they designed a portable 3D printer that's powered by a smartphone. 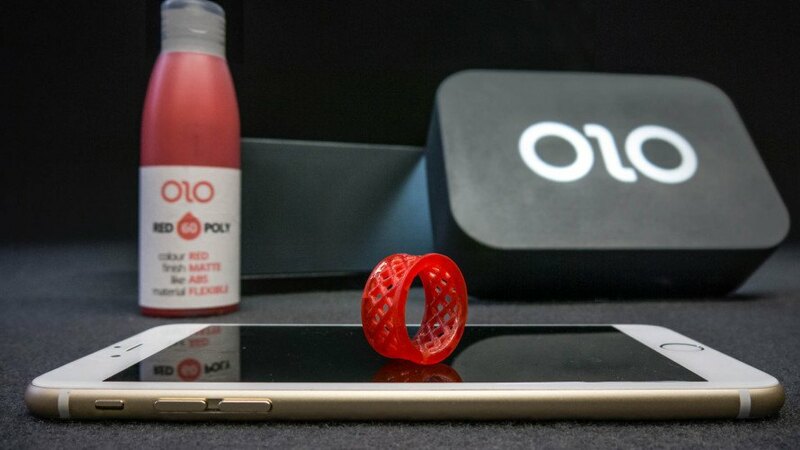 Using the smartphone's brightness, OLO 3D prints objects users select on an app or design using 3D software. The team offers resins in different colors that range from flexible to hard. The device costs $99, and the team is currently crowdfunding on Kickstarter.